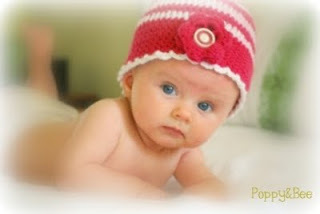 Poppy & Bee is the home of scrumptious handcrafted crochet hats and other goodies made with New Zealand yarns. The company is named for my son and daughter. I accidentally (!) started this business after deciding to take a year’s leave from teaching to enjoy Poppy’s last year at home before she started school. I don’t know if I have one! I love to crochet, and really enjoy the methodical, meditative nature of it. I really love that I am creating something that can’t be replicated on a machine, and that people love to touch and wear. A lamp; ‘Middlesex’ by Jeffrey Eugenides; my son’s pocket money chart; a necklace stand covered in tangled necklaces, bracelets and earrings; two cards from my children; some (ok, lots) of dust; my phone and a scrap of yarn. I don’t know if I’d describe myself as creative, at all, I just like crocheting! As far as a creative role model, my Mum is the creative one that taught me everything I know, growing up she crafted in nearly every modality going – cane weaving, crochet, knitting, fabric paint, tapestry, sewing, hairdressing, floral art… the list is endless! If I can turn on music (loud), anything rock or heavy guitars my energy levels soar! I definitely am inspired by other crafters, by both their art and their business models. Music, books, yarn, my children, teaching/education, and then I bang on about the resurgence of crochet and how it’s the way of the future! If miraculously a crochet workshop other than a beginner’s one appeared I’d be there! I’d love to attend a WAHM seminar and of course anything with crafters is always motivating. Not very well! I’m housework disabled, so if any other alternative presents itself I’ll avoid cleaning if at all possible. I left my full time job at the end of last year as I had no balance at all, as a school teacher the job was never done. Now I spend the days establishing Poppy&Bee and experimenting with crochet. I am able to be there for my children when they need me, without feeling like I’m compromising anything. Still working on how to get to the gym, but I consider myself a work in progress. 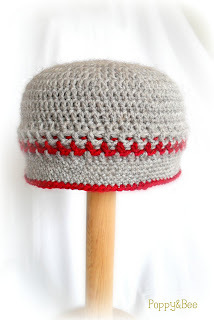 Newborn hats that barely fit on dolls, and I STILL make silly yarn weight mistakes when reading US patterns. Spare room. Kitchen table is covered in play dough, glitter, mail, toast plates and the occasional family of dead wasps. The Bee has been moved to share a room with Poppy so that Mummy can spread her mess in a contained space. Lots and lots and lots of handspun local yarn, some solid wood ‘hat heads’, and a regular weekly massage. Oh, and always after more crochet hooks. 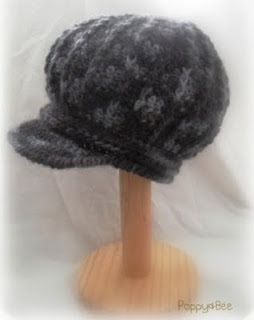 Poppy & Bee's creations can be found on-line at their Felt shop, and Website. And if you're in Auckland, do check out our Markets Page to see where you will find Poppy & Bee in person (and this savvy stallholder has Eftpos!). 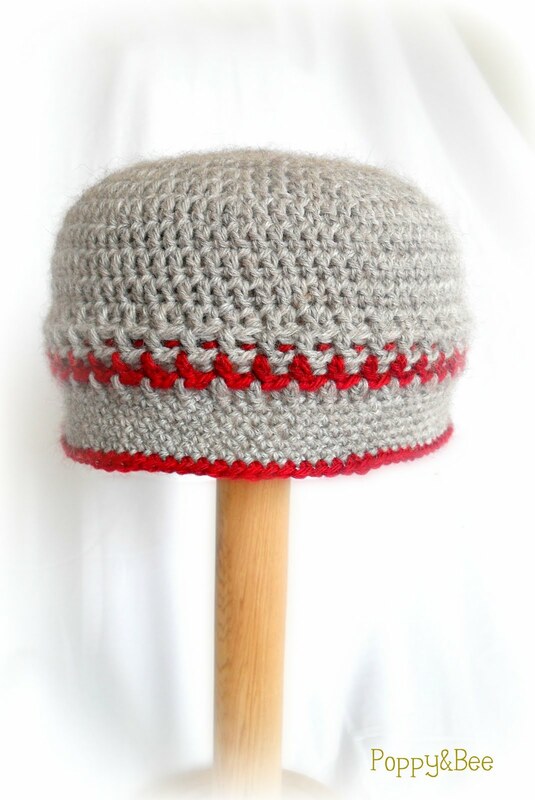 I would like to know how long you spend crocheting a day Natalie - great range and quality! Love your work. Great little peek into your life Natalie! I have so much admiration for people who can crochet and end up with something so beautiful! @Mel, I spend about 2-3 hours during the day on Poppy&Bee work, then about 5 hours in the evening (yes, really). I am lucky that there is such a demand for the quality work I am doing, and am always trying to make sure no one has to wait too long for their goodies. @Kya - ooooh yes - I like that idea very much! Oooh - crochet workshop - I'm going to think about that quite seriously. What a fun-tastic idea.